DEAR PAPERLICIOUS: Right at Home: Let's Party! Right at Home: Let's Party! Very cute stuff! 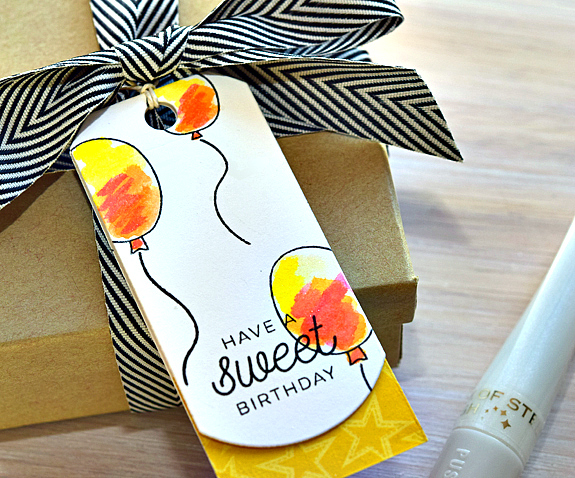 My first project using Let's Party is this birthday tag, perfect to add to a little box of chocolates! I was inspired by these ombre balloons that Julie Ebersole watercolored. I quickly watercolored the balloons on Neenah Solar White by using a waterbrush to pick up some ink from Tombow markers that I had scribbled on a craft sheet. You aren't going to be able to blend ink or paint when working with watercolors on Neenah paper, but you can get a quick wash, which is what I wanted. Added a bit of one of the patterned papers on the inside of the tag. 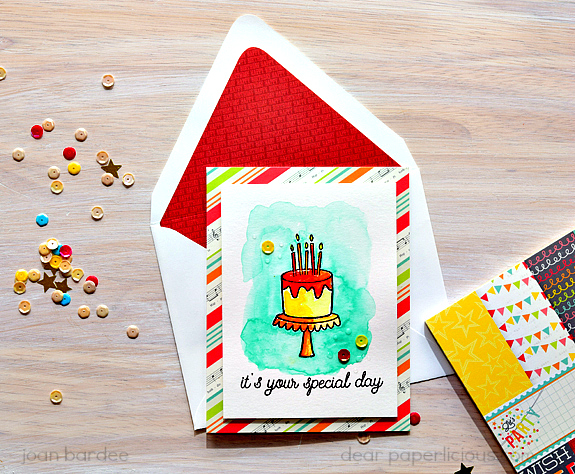 My second project is a colorful birthday card and coordinating envelope. 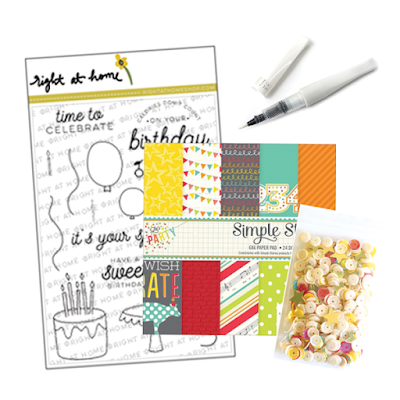 If you read this blog, you know I love a good envelope liner and the paper that comes with this Box is perfect for lining envelopes. I also used some of the paper for the background for the card. If you look closely, you'll see that the paper has the music and some of the words to Happy Birthday. Hmm... Now I want cake. On an orange fancy plate. And chocolates. 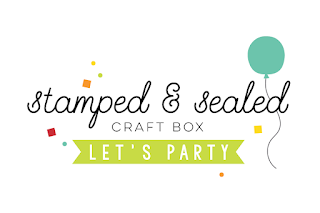 Hope you've enjoyed my projects with Let's Party. MOOD WHEN DONE = Looking for a party! BEAUTIFUL! 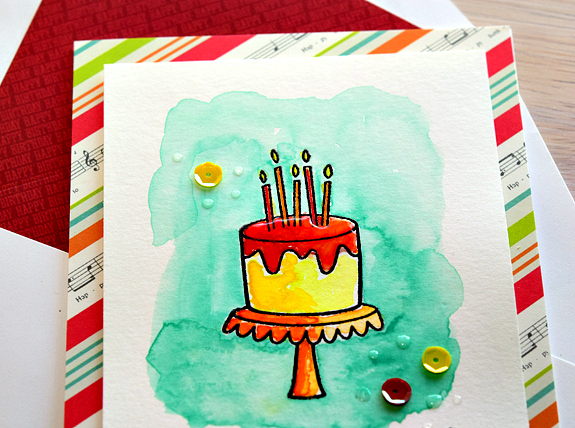 Love the watercoloring and the use of the vibrant colors! Very fun! 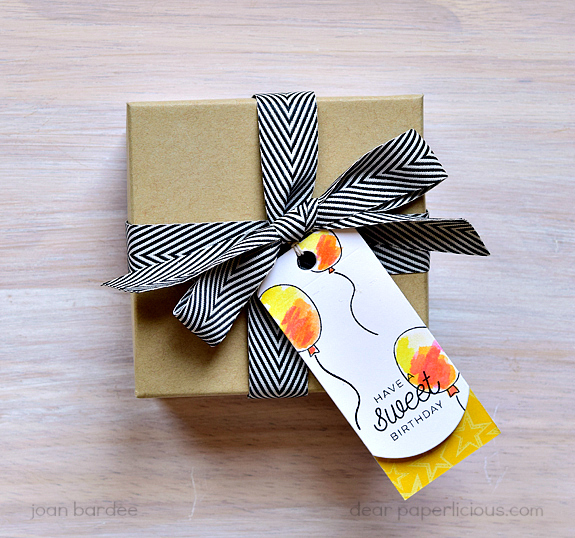 Love the tag, and that bright cake -- yup! I'm hungry now too! Joan your tag and card are just fabulous! Love the scribbles! And the yummy cake card. Cute paper! Beautiful! Love the color schemes! Joan, you've really made this box tempting. I really love all the details in the birthday card. Gorgeous! Love your coloring on these, Joan, especially those balloons! 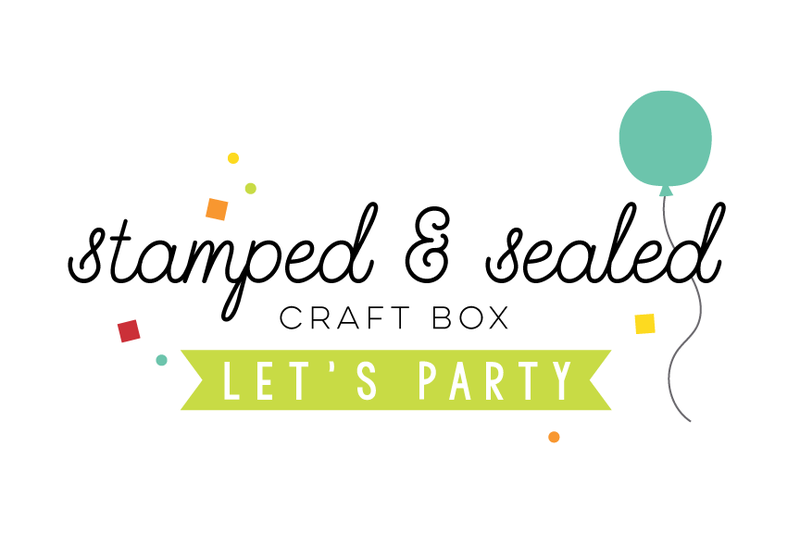 Your projects are super fun and festive!! Fun fun fun. I love the vibrant colors and the watercoloring. Love the tag and card! So festive and fun!! Festive and cheerful tag and card! LOVE them all! Right at Home Birthday Balloons/Hey Stella!